We’re so excited to have been featured in The Observer’s Sunday coverage this week. 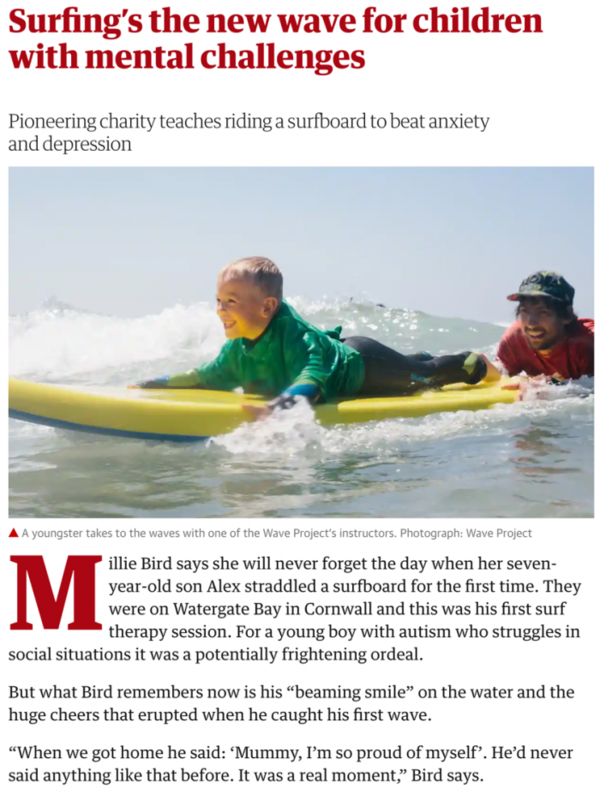 Our founder, Joe Taylor, sat down with reporter Rob Walker to discuss what makes surf therapy such a successful therapeutic intervention for a growing number of young people. This year we are expanding our areas of operation into the inner city for the first time, with Wave Project London set to run its first courses in May. Read the full article by clicking the link below to find out about our exciting season ahead.